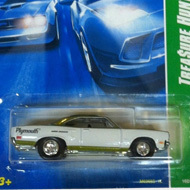 1/12 from the 2008 Super Treasure Hunt series. The 300C has Spectraflame green and flat black paint embellished with silver trim and the Chrysler logo on the back. 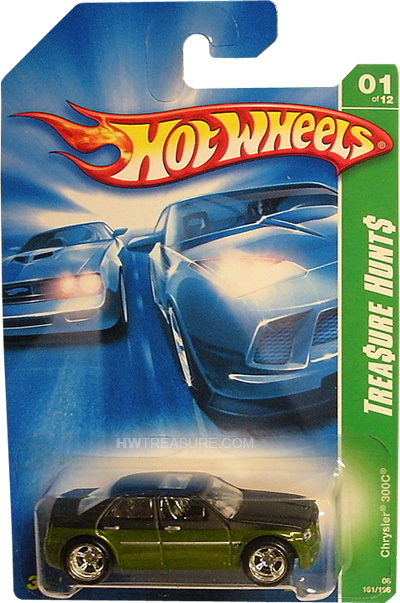 It has clear windows, chrome interior, Real Rider 5-spoke mag-style wheels, and a black plastic Malaysia base.